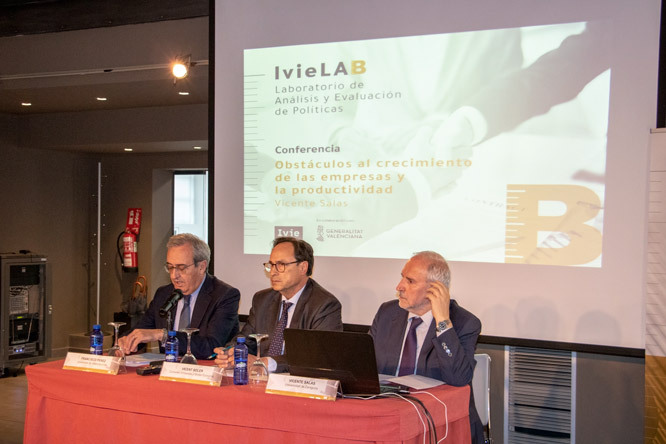 Spain has a deficit in productivity that could be improved by increasing the average size of its firms, which is significantly smaller than in countries with higher productivity levels such as the USA, Germany and the Scandinavian countries. 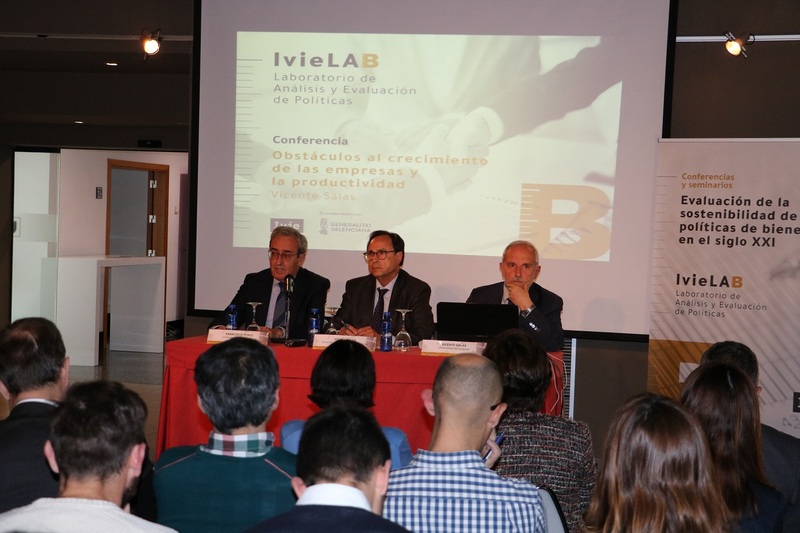 With this analysis, Vicente Salas (Professor of the University of Zaragoza) began his talk, “Barriers to business growth and productivity” as part of the IvieLAB (Laboratory for the Analysis and Evaluation of Public Policy) series of lectures and seminars on welfare policies in the 21st century. 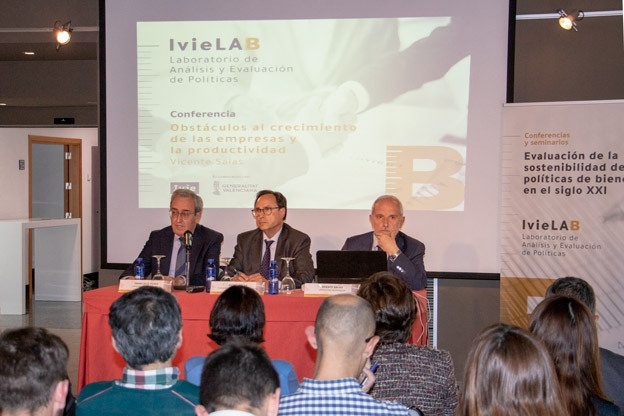 The first talk in this year’s series of IvieLAB lectures was presented by the Valencia Regional Minister of Finance, Vicent Soler, and Ivie Director, Francisco Pérez. Both highlighted the need for better evaluation of public policies in order to improve the performance of the various administrations. 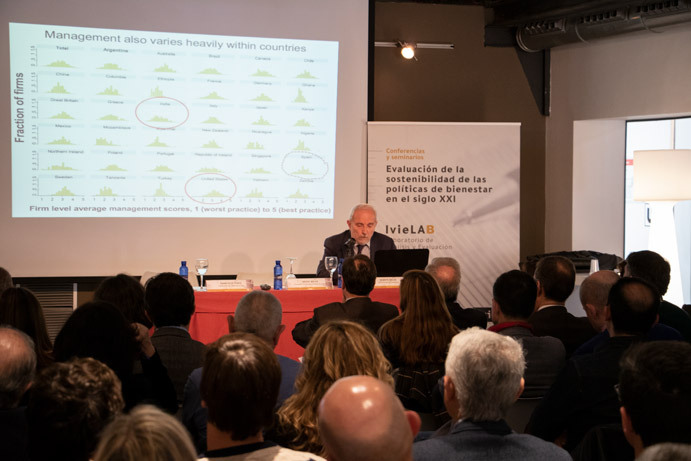 Salas explained that, over the last 25 years, firm size and employment distributions in Spain have hardly changed. In 1995 large firms (over 250 employees) accounted for 0.2% of all firms in Spain, whereas in 2018 they represented 0.3% of the total. In comparison, micro-enterprises (between 1 and 9 employees) currently represent 89.8% of all firms, almost two percentage points higher than in 1995 (88%). 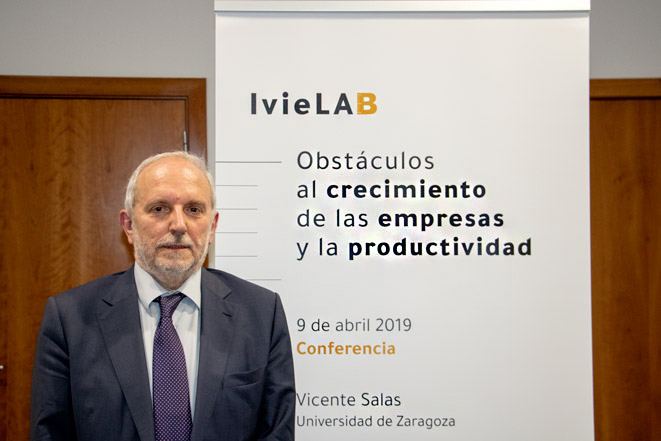 According to Salas, an economics professor, “the crisis of 2008 led to a reduction in the proportion of firms with more than 10 workers and to an increase in micro-enterprises”. 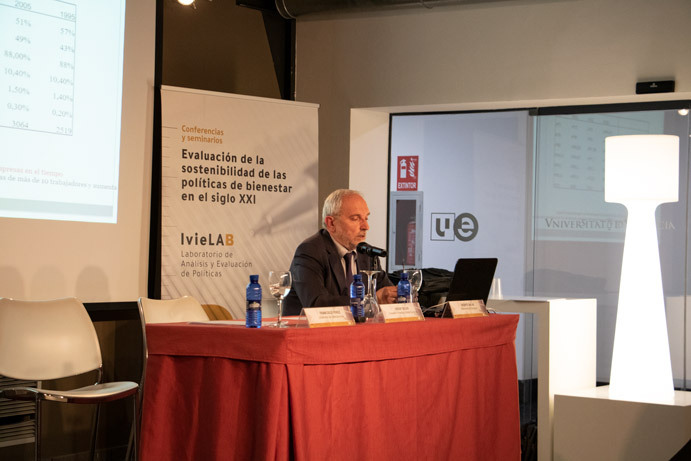 He also pointed out that 40% of the employed population in Spain work in firms with 0 to 9 employees, while the corresponding figure for Germany is under 20%. 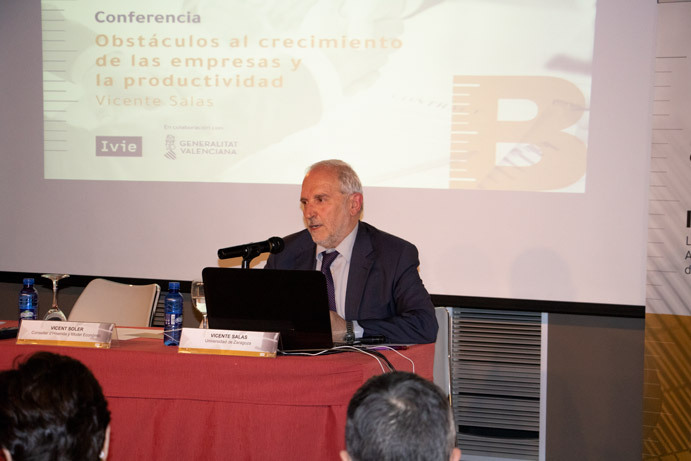 Vicente Salas also emphasized the importance of the quality of management in increasing productivity levels and the need to promote the professionalization of corporate managers and directors. 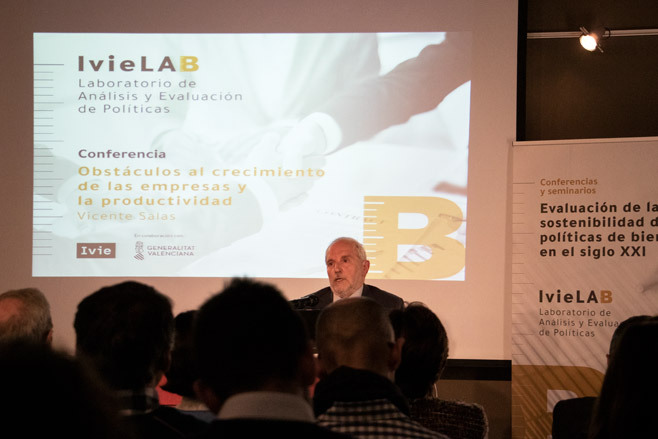 “Evaluation of the sustainability of welfare policies in the 21st century” is an IvieLAB series which began in 2018 and is resumed in 2019 with the talk by Vicente Salas. 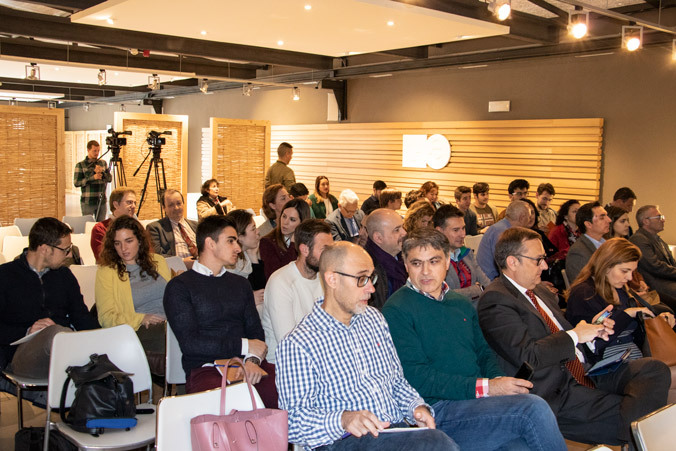 During 2019, more experts will analyze different aspects of the welfare state. 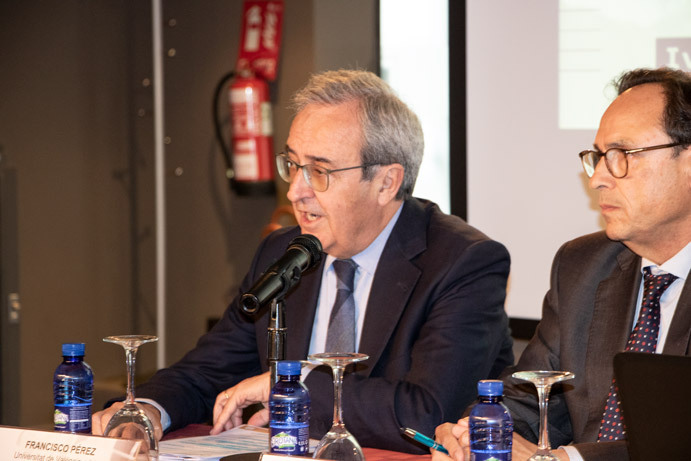 Juan F. Jimeno, a Bank of Spain advisor, will give the next talk, on May 7th, entitled “Growth and social policies in a world marked by major technological and demographic changes”. 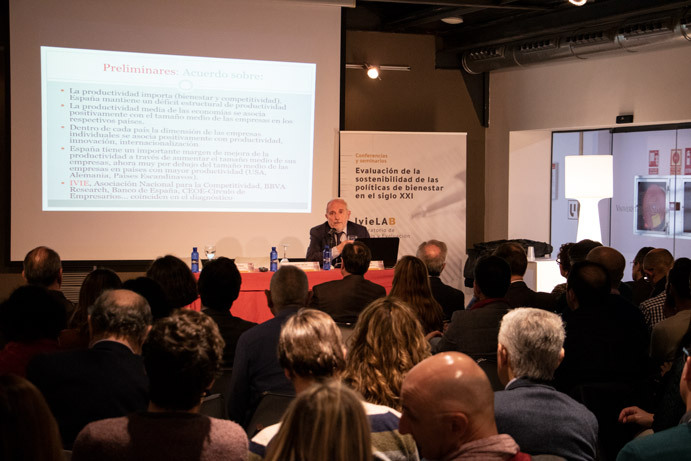 And on June 19th the President of AFI, Emilio Ontiveros, will give a talk entitled “Digitization and sustainability of the welfare state in Spain”.